A consultation with stakeholders in the pensions industry revealed "significant scepticism" that the first dashboard would be operational in 2019. "The Government has sent the clearest possible message about the direction of travel – now schemes need to get their houses in order." 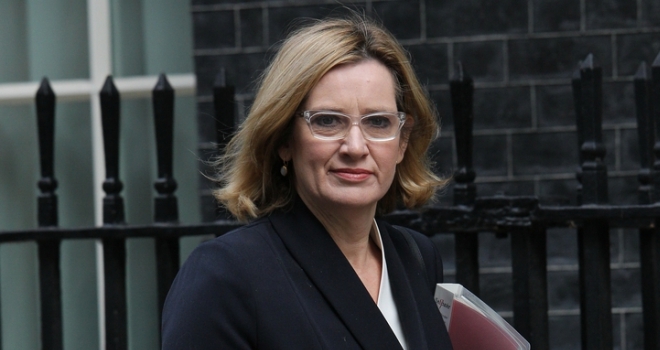 Work and pensions secretary Amber Rudd has today reiterated support for pensions dashboards, stating that the first systems would launch "later this year". However a Work & Pensions Committee consultation with stakeholders in the pensions industry revealed "significant industry scepticism" that the first dashboard would be operational in 2019 or even early 2020. In a letter to the chair of the Work and Pensions Committee, pensions data management firm ITM said that this scepticism is "leading schemes to deprioritise preparations". In February, pensions minister Guy Opperman confirmed that there will be multiple Dashboards with the first non-commercial system due to launch this year by new financial guidance body, The Money and Pensions Service. Opperman added that providing data to this dashboard would be compulsory for pension providers. However Duncan Howorth, executive chairman of ITM, told the Work & Pensions Committee that there is an "emerging view that data preparedness will not be required until 2022/23 due to the time required to make both primary and secondary legislation, and the staged introduction of compulsion". ITM highlighted that The Money and Pensions Service has not yet hired the chair and director of its Pensions Dashboard Industry Delivery Group, and it is therefore unlikely that a fully functioning Group will be in place before the autumn. Duncan Howorth added that the dashboard is now "understandably slipping down pension schemes’ lists of near-term priorities". Industry views are now that the government will make detailed Dashboard regulations by the Spring of 2021 but would want to "adopt best practice of leaving a good 'gap' between making final regulations and the start of the compulsion window, meaning that compulsion would be unlikely to start before 2022". However Howorth added that ITM is seeing "a number of larger, DB and DC, schemes showing real interest in being early adopters of the voluntary dashboard". Commenting, Frank Field, chair of the Work and Pensions Committee, said: “It wasn’t long ago that we were seeing worrying signs that the Government might be getting cold feet on the pensions dashboard. So this is a welcome sign that Ministers are fully committed to the project, and to legislating for it as soon as possible. Peter Bradshaw, director for Selectapension, commented: “A pension dashboard is a great way of engaging people with their pension planning. To make it work, the Government would need a huge public awareness campaign. Ease of access for users and data security are essential to avoid hacking and scammers.